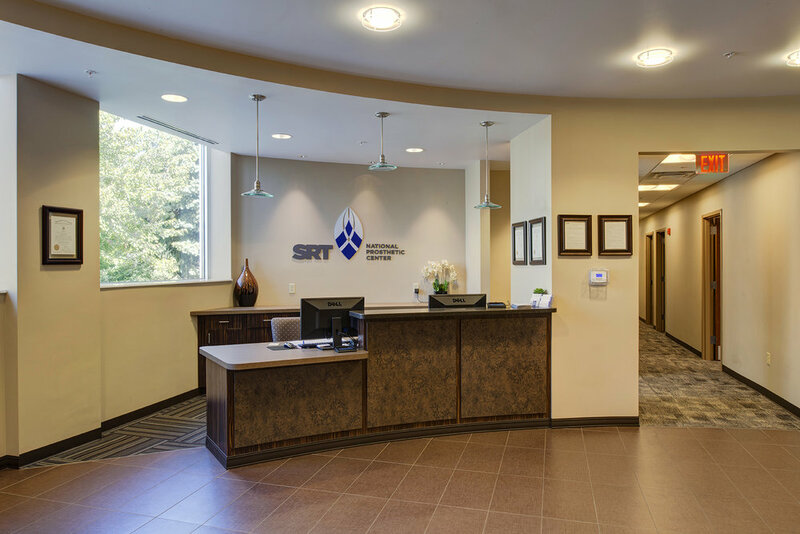 SRT Indianapolis is a three-level, state-of-the-art, National Prosthetics Center providing the most up-to-date bionic prosthetic technology to patients. 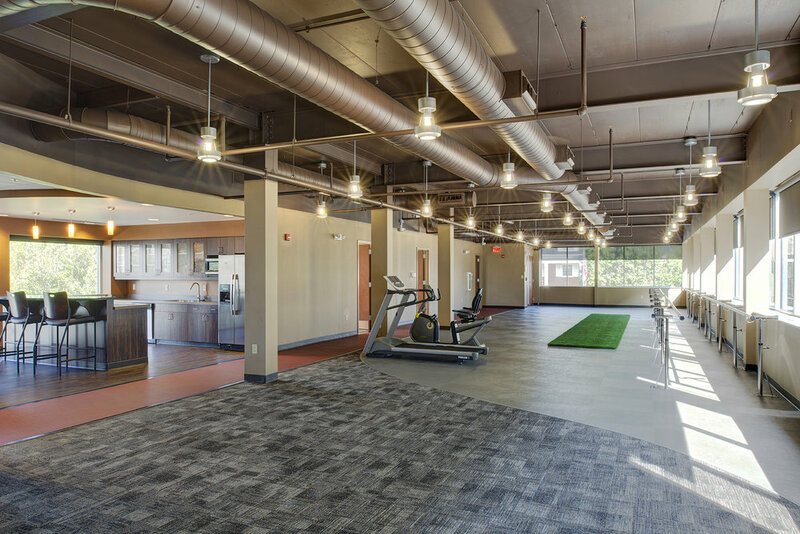 The facility was designed to create a welcoming environment that provides fittings, rehabilitation, strength training and education to both patients and health care professionals. 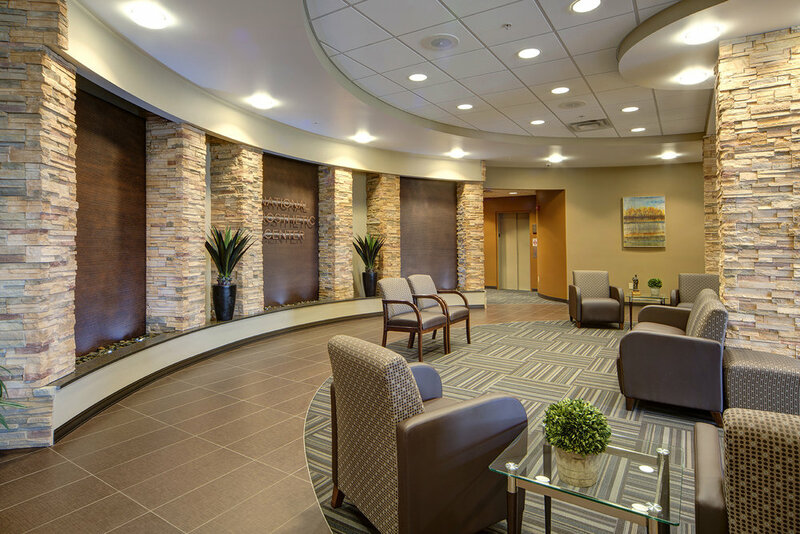 With SRT welcoming guests from around the country, the large, welcoming lobby features a refreshment bar, patient seating and custom waterfall feature. 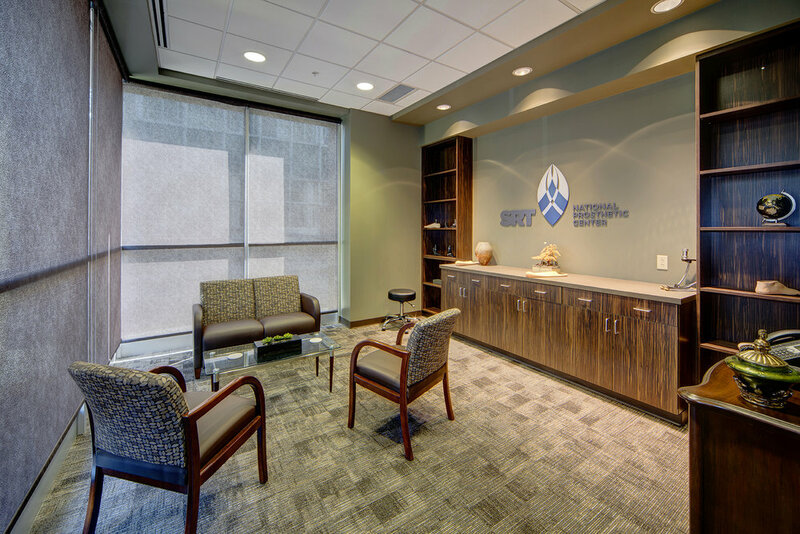 The first-floor medical suite consists of exam rooms, and consultation rooms. 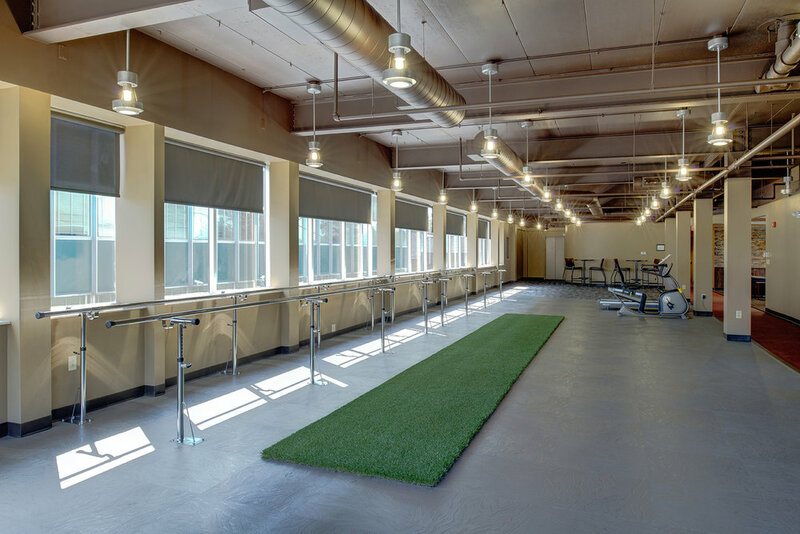 The second level includes a rehabilitation space allowing patients the opportunity to test out their prosthesis in real-world scenarios such as walking on grass terrain and running. 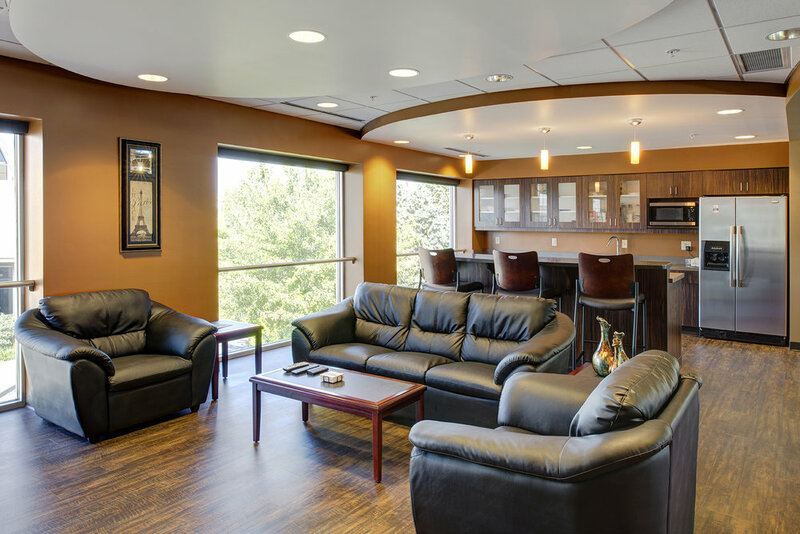 Adjacent to the track is a patient lounge and kitchenette for refreshments, and living room space for patients to relax while the prosthetics are manufactured in the lower level lab. 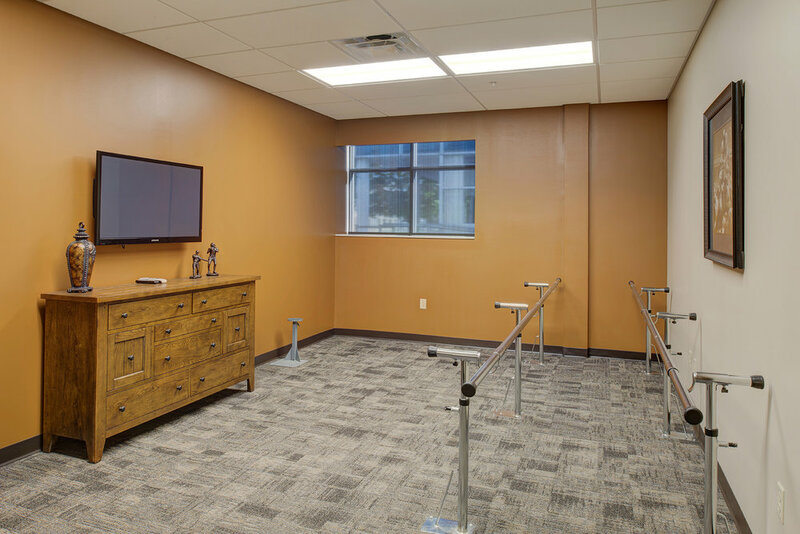 The second floor includes a Bedroom and Bathroom for patients to practice routine activities such as getting in and out of bed or the shower. The lower-level consists of a large prosthetics lab and staff spaces. 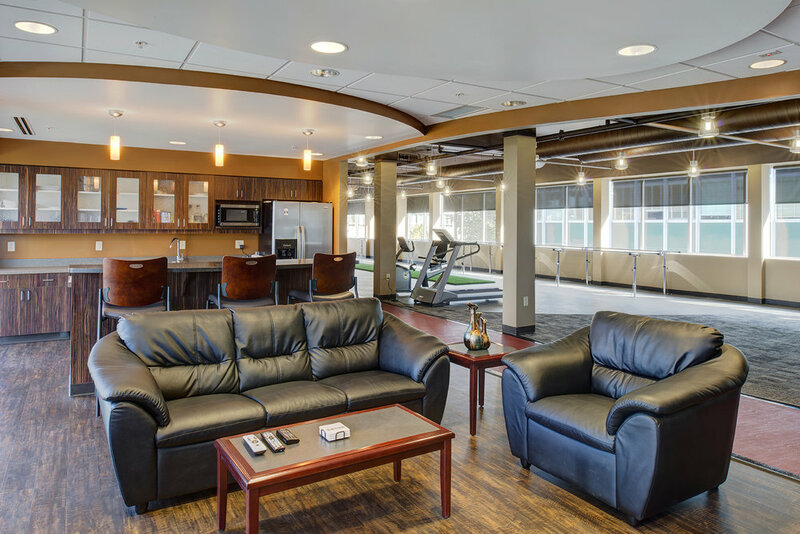 All spaces are carefully designed with the special needs of the patients.